The Silent Auction is a long-standing Faire tradition where you can win exclusive one-of-a-kind prizes or pieces of the Fairelands to take home or simply make stunningly good deals. The Auction is set in Fairelands Junction where the vendors are hanging as paintings between the trees. You can go browse them and bid for them, no money will be charged until the very last, winning bid on Saturday at 5 PM SLT, when the auction closes. Originally built for Wiggenstead Mooring as envisioned and designed by Nya Alchemi before she had to withdraw from building for health reasons. A part of the Fairelands that Should Have Been, your one chance to take it home! 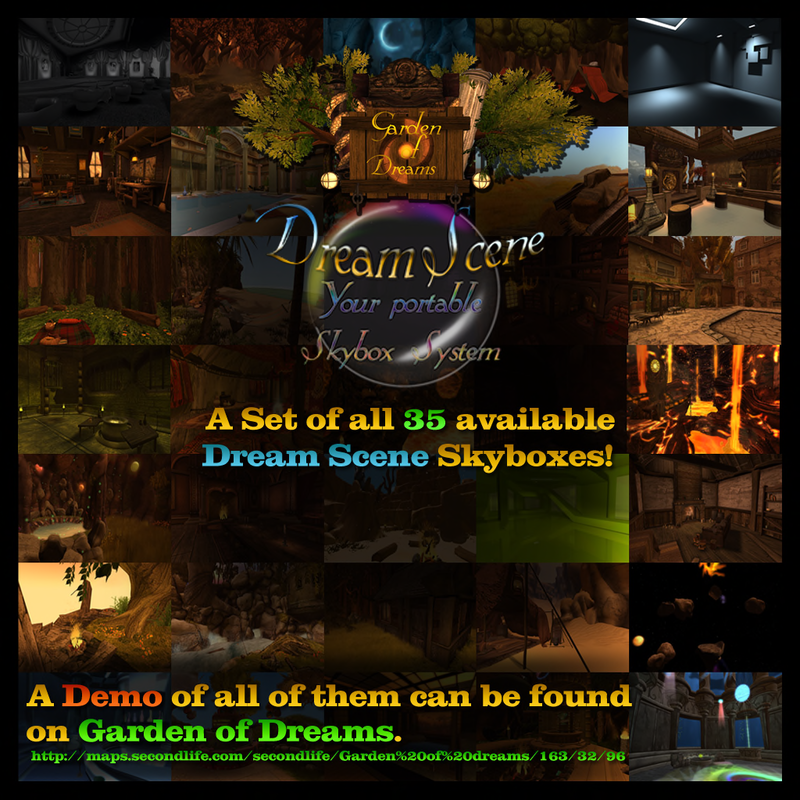 The complete Dream Scene set by Kayle Matzerath of Garden of Dreams, the builder of Wiggenstead Mooring. Purple Ethos Unique Family Edition Skins from Fallen Gods Inc. 3 Female + 3 Male Exclusive Packs Including: Skin, Tao Tattoo Skin, Appliers. Mourningvale Thicket Gypsy Traveler Jail Scene. Take a piece of the Thicket home! 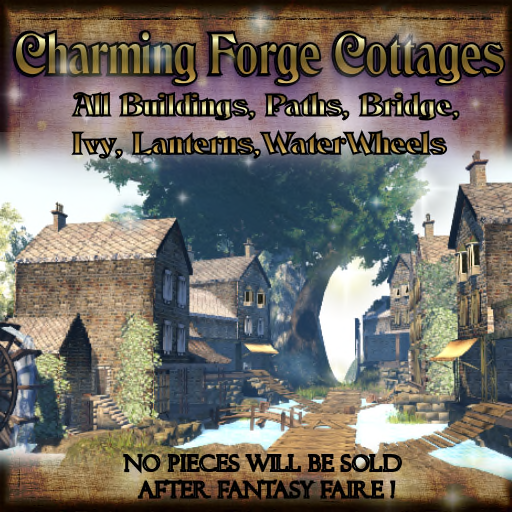 Heavenslough sponsor shop – take a piece of the Fairelands home! 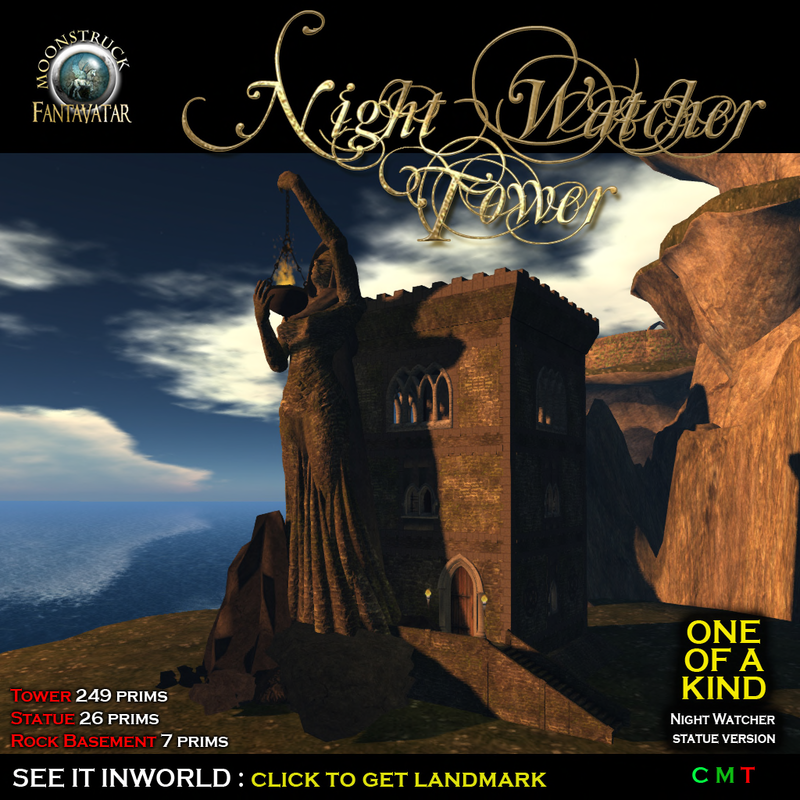 Night Watcher Tower from Fantavatar & Moonstruck. One of a kind, click the vendor to get a landmark to see it in-world. 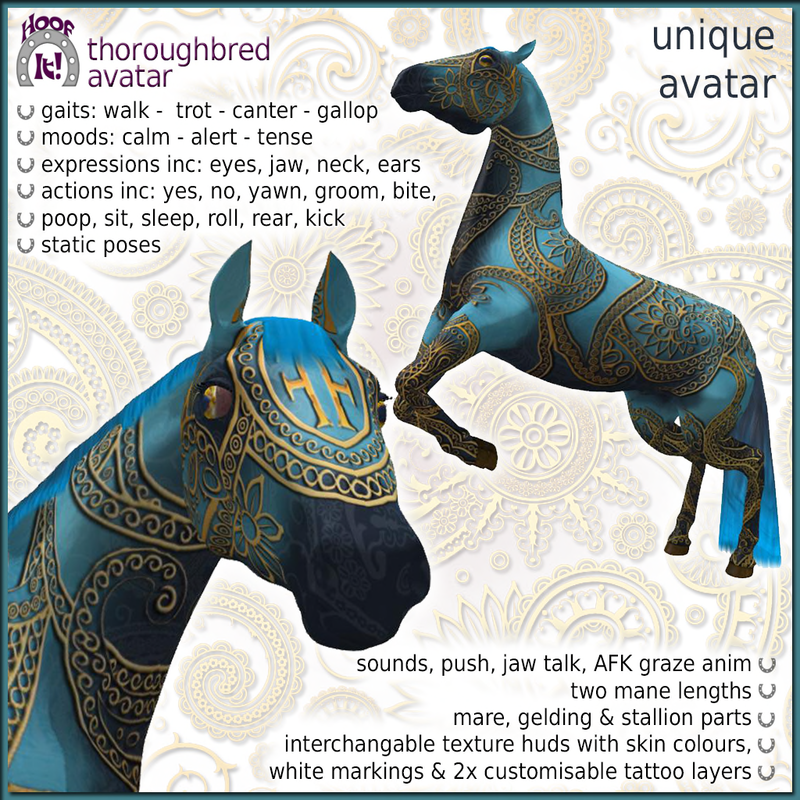 Unique thoroughbred avatar from Hoof It! 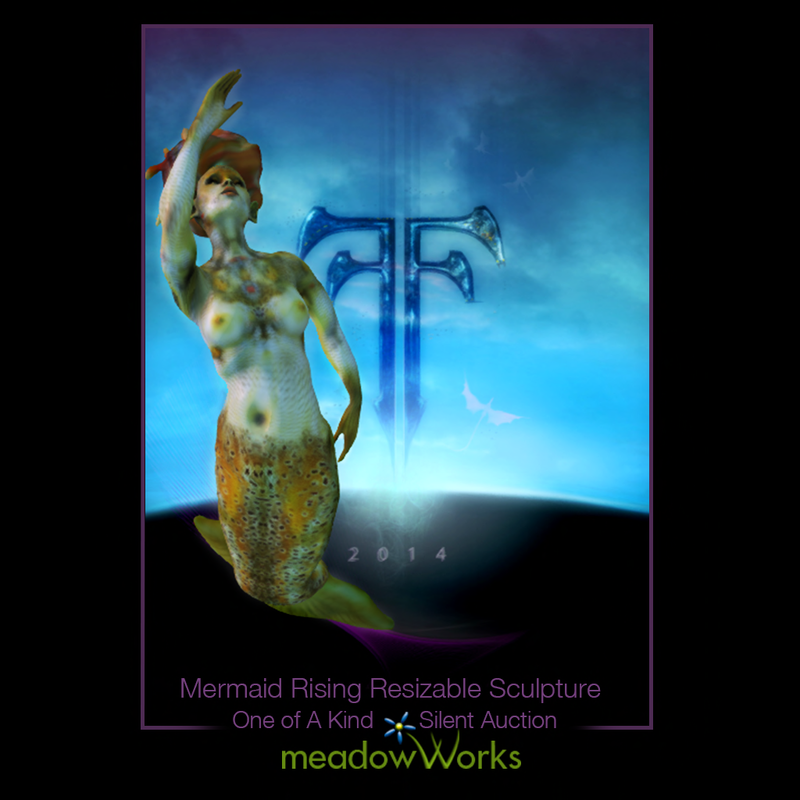 Mermaid Rising statue from meadowWorks, one of a kind. [ Oblivion ] State of the Art Female Collection: 28 Medieval/Fantasy Hairstyles in one chosen tone. These are only some of the one-of-a-kind exclusives available in the Silent Auction. Window shop for more here or go straight to the Junction to see them all!